The first census after the American Revolution was taken in 1790, under Secretary of State Thomas Jefferson; there have been 22 federal censuses since that time. The current national census was held in 2010; the next census is scheduled for 2020 and will be largely conducted using the Internet. 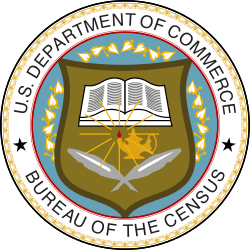 For years between the decennial censuses, the Census Bureau issues estimates made using surveys and statistical models, in particular, the American Community Survey. The Census also uses hot deck imputation to assign data to housing units where occupation status is unknown. This practice has effects across many areas, but is seen by some as controversial. However, the practice was ruled constitutional by the U.S. Supreme Court in Utah v. Evans. The first nine censuses (1790–1870) were conducted by U.S. Marshals before the Census Bureau was created. Appointed US Marshals of each judicial district hired assistant marshals to conduct the actual enumeration. 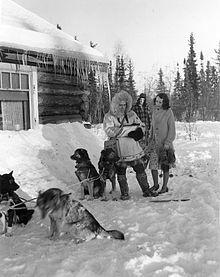 The census enumerators were typically from the village or neighbourhood and often knew the residents. Before enabling self-identification on the censuses, the US Census Bureau relied on local people to have some knowledge of residents. Racial classification was made by the census enumerator in these decades, rather than by the individual. (60,515) 893,605 [h] Original numbers were corrected later. (1,515,301) Because it was believed that the frontier region of the United States no longer existed, the tracking of westward migration was not tabulated in the 1890 census. This trend prompted Frederick Jackson Turner to develop his milestone Frontier Thesis. One purpose of the census is to divide the house seats by population. Furthermore as with any Census Bureau survey the data provides a beginning for allocation of resources. In addition, collected data are used in aggregate for statistical purposes. Replies are obtained from individuals and establishments only to enable the compilation of such general statistics. The confidentiality of these replies is very important. 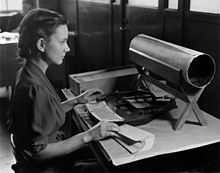 By law, no one—neither the census takers nor any other Census Bureau employee—is permitted to reveal identifiable information about any person, household, or business. Without such protections, those living without documentation in the United States would be deterred from submitting census data. By law ( Pub.L. 95–416, 92 Stat. 915, enacted October 5, 1978), individual decennial census records are sealed for 72 years,  a number chosen in 1952  as slightly higher than the average female life expectancy, 71.6. 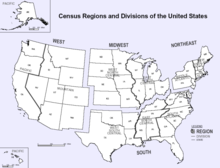 The individual census data most recently released to the public is the 1940 census, released on April 2, 2012. Aggregate census data are released when available. Census microdata for research purposes are available for censuses from 1850 forward through the Integrated Public Use Microdata Series ( IPUMS), and scanned copies of each of the decennial census questionnaires are available online from many websites. Computerized aggregate data describing the characteristics of small geographic areas for the entire period from 1790 to 2010 are available from the National Historical Geographic Information System. ^ Meng, Xiao-Li (1994). "Multiple-Imputation Inferences with Uncongenial Sources of Input". Statistical Science. 9 (4): 538–558. doi: 10.1214/ss/1177010269. JSTOR 2246252.